Bailey was brought into the Miami County Animal Shelter because she played too rough with the cat. She is 2 years old, already spayed, current on shots, current on flea meds and heartworm meds. She also has medication for anxiety due to storms. She needs a great home to call her own that has no cats. She is a little shy until you bring her up and spend some time with her and then you will get to see the cuddle bug in her come out and the playful, goofy side of her as well. She loves to get out and walk around the grounds. 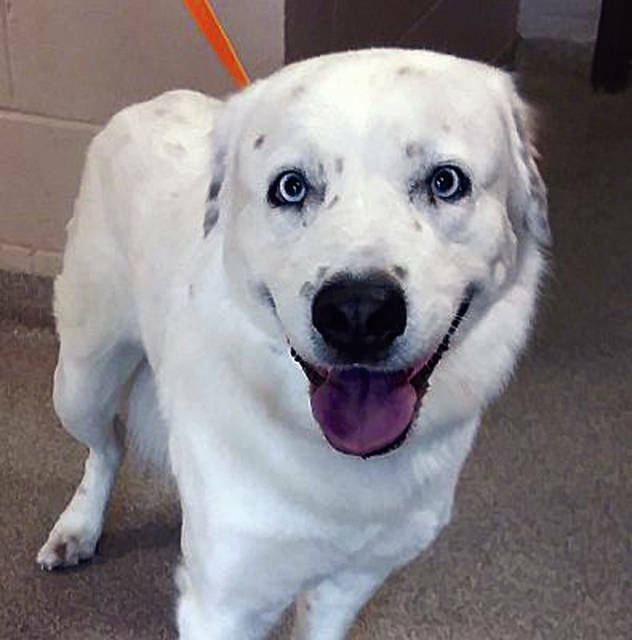 If you would be interested in this dog, or one of the other dogs and cats that need forever homes, visit 1110 N. County Road 25-A, Troy, call (937) 332-6919, or email mcas6919@yahoo.com for more information. Visit www.co.miami.oh.us for more adoptable pets. https://www.dailycall.com/wp-content/uploads/sites/30/2018/09/web1_Bailey.jpgBailey was brought into the Miami County Animal Shelter because she played too rough with the cat. She is 2 years old, already spayed, current on shots, current on flea meds and heartworm meds. She also has medication for anxiety due to storms. She needs a great home to call her own that has no cats. She is a little shy until you bring her up and spend some time with her and then you will get to see the cuddle bug in her come out and the playful, goofy side of her as well. She loves to get out and walk around the grounds. If you would be interested in this dog, or one of the other dogs and cats that need forever homes, visit 1110 N. County Road 25-A, Troy, call (937) 332-6919, or email mcas6919@yahoo.com for more information. Visit www.co.miami.oh.us for more adoptable pets.